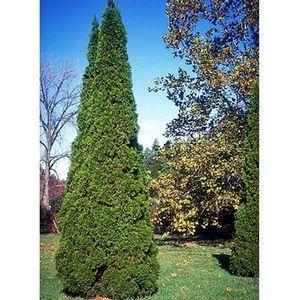 One of the finest columnar or narrow, compact pyramidal arborvitaes. Rich, emerald green, fine-textured foliage persists even through winter. Arborvitae must have enough moisture until roots become established, then they can tolerate drier conditions.